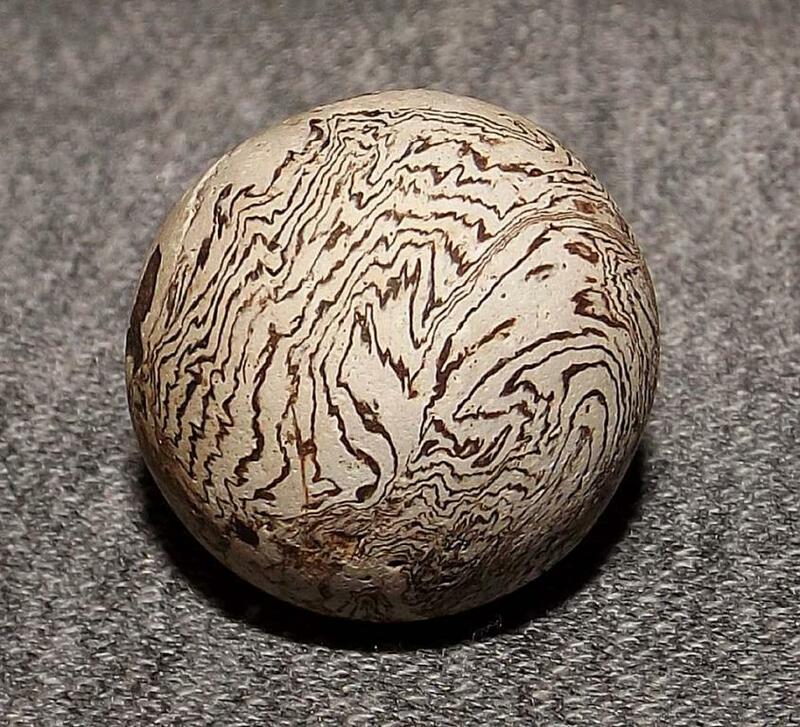 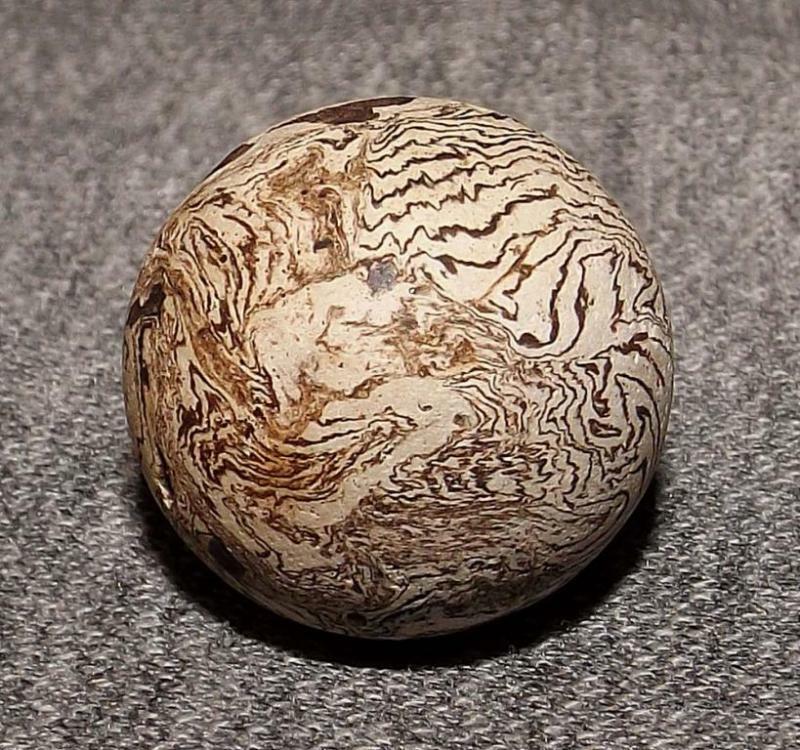 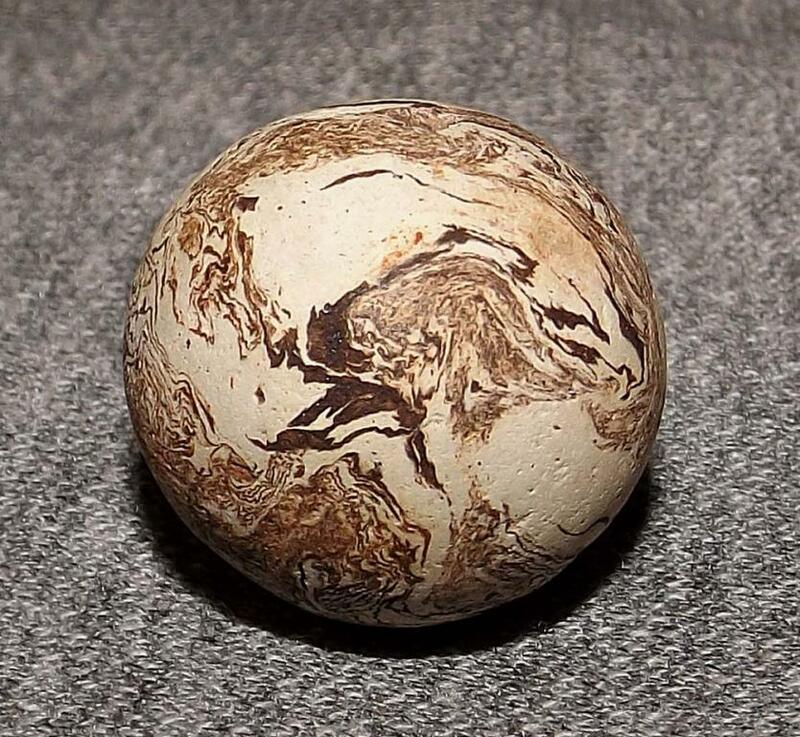 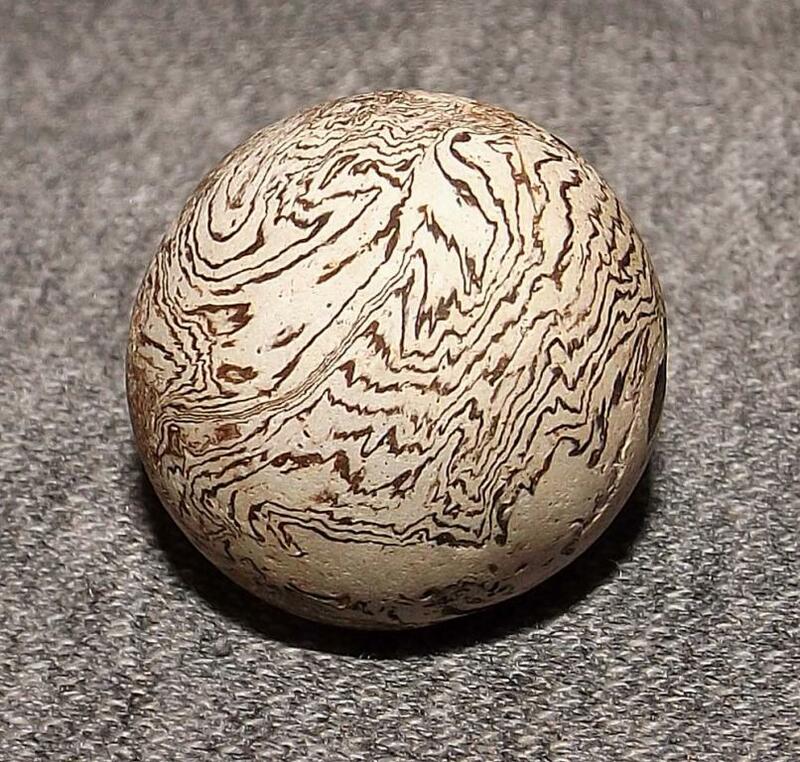 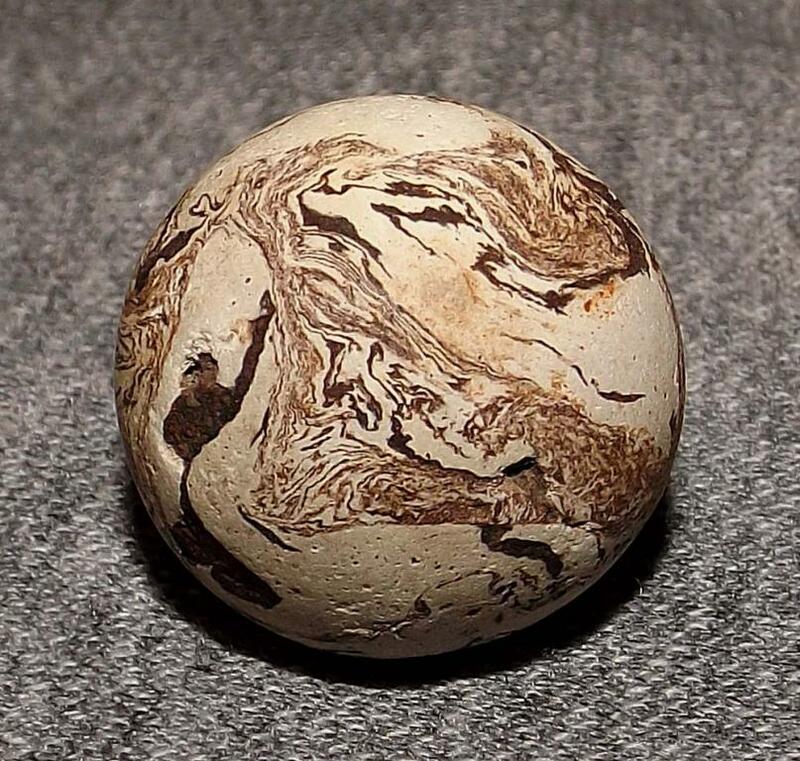 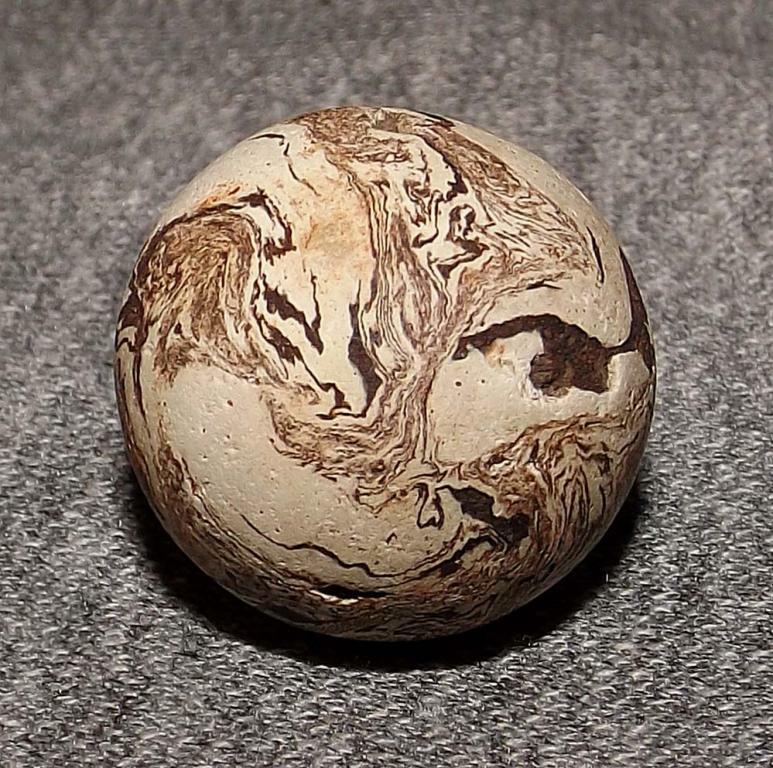 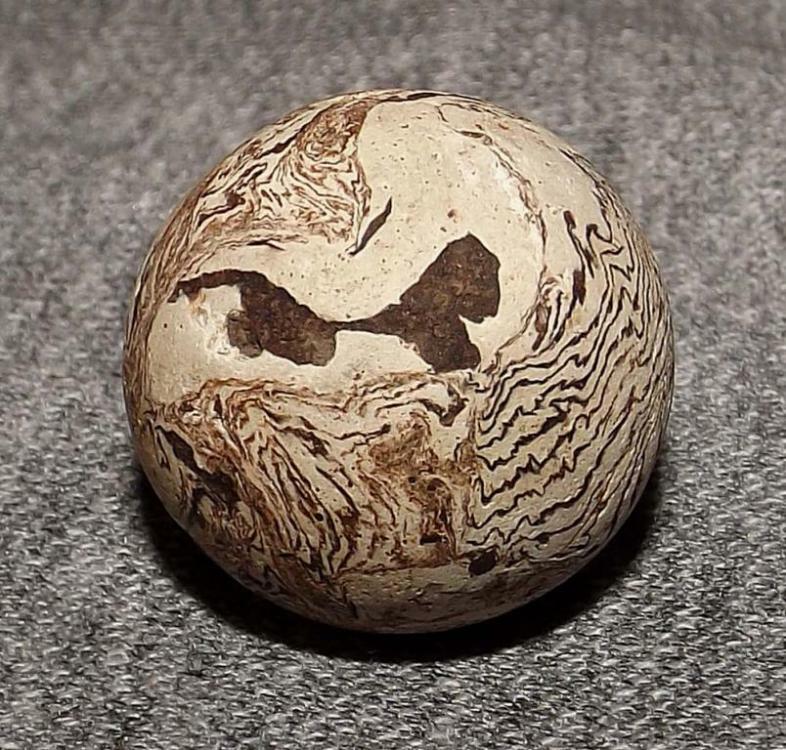 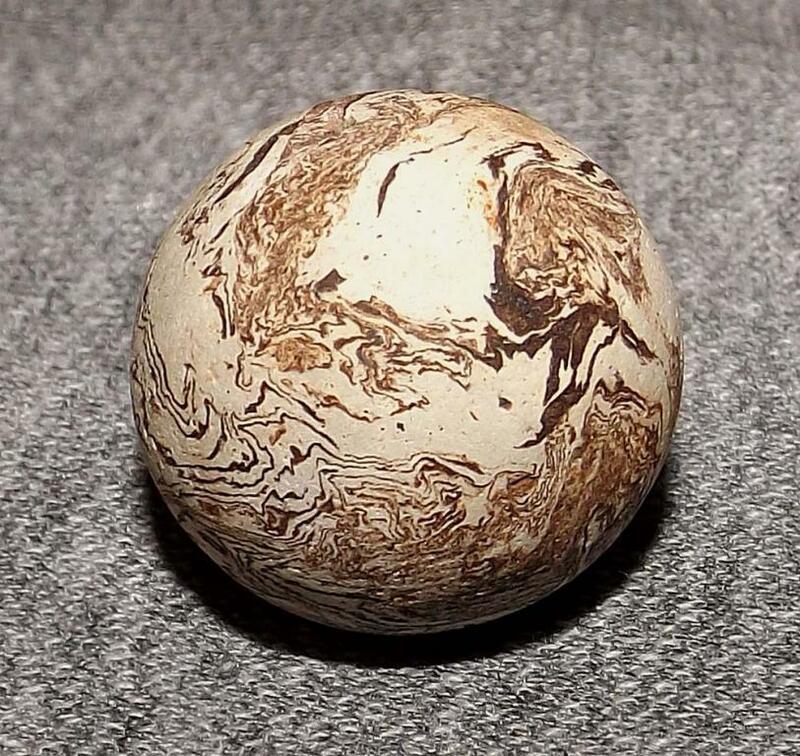 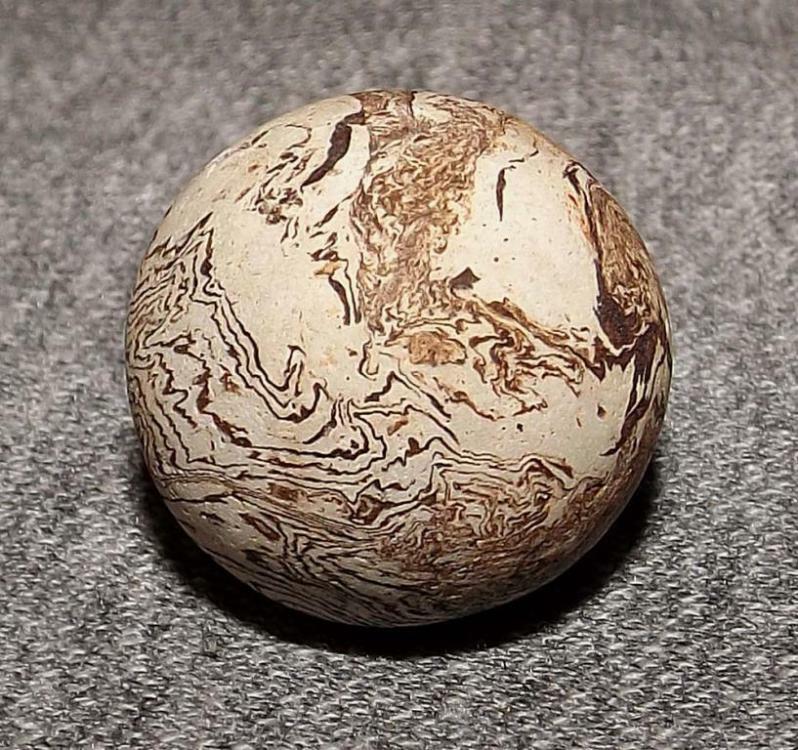 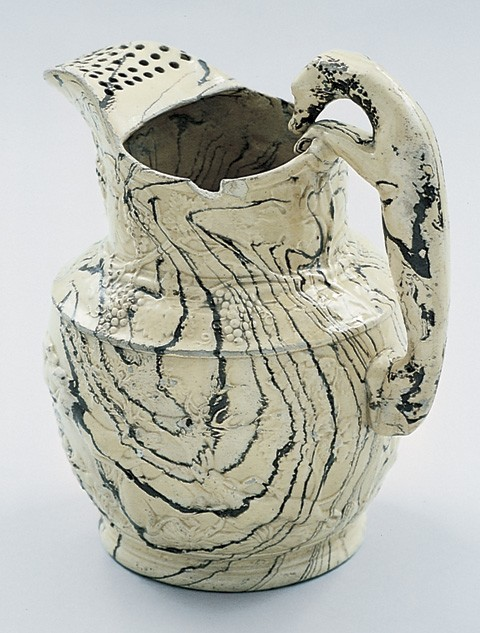 I'd guess its an agateware marble. Carpet balls (bowls) better illustrate the use of variegated clays to simulate agate. One of these is a hand faceted German agate.